Valletta 2018 is this week bringing together local and international designers, architecture students, residents and social activists in the 72 Hour Urban Action workshop, taking place in Birzebbuġa as from today Wednesday 10th October. 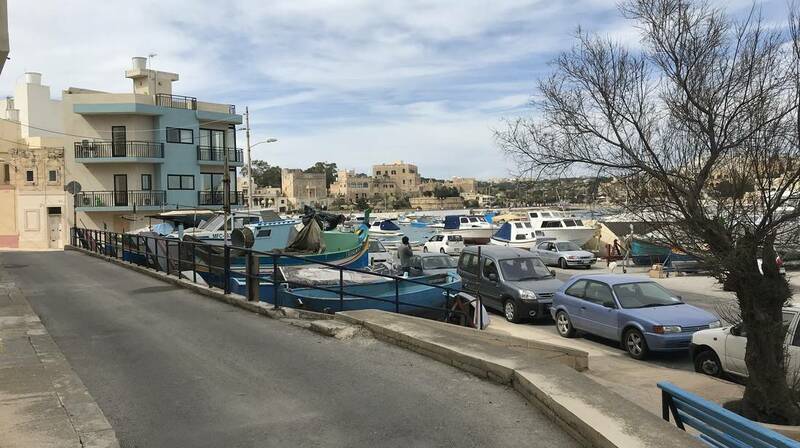 A total of 12 participants will be spending three days and three nights at the boatyard and adjacent public garden on Sacred Heart Promenade in Birzebbuġa, where they will be designing and buildings projects in the public space in response to local needs. This all happens within an extreme deadline, a tight budget and limited space with the aim of leaving a lasting impact on the urban landscape. The workshop comes to a close on Saturday 13th October with the launch of a public installation at 7pm. Participants hail from Israel, France, Poland, Germany and Malta, and are working closely with the international design-and-build collective named 72 Hour Urban Action, synonymous with such interventions in a number of cities, as well as with the Valletta Design Cluster and Għaqda Sajjieda Dilettanti Birżebbuġa. Locals and passers-by are encouraged to take part in the conversation, to lend a helping hand and are very welcome to celebrate the final creation during the final public ceremony and talk. The workshop is preceded by in-depth research to identify problems and possibilities which underlie the locality in order to work and address them as a starting point for the works. Nobody knows in advance what will be built, not even the participants or the organisers. Everything will be decided on the spot and on location. 72 Hour Urban Action is an international design-and-build collective born in 2010 at the Bat-Yam Biennale of Landscape Urbanism. 72HUA has been working in Malta with the Valletta 2018 Foundation since 2016 forming a prominent part of the Design4DCity programme in the form of public urban regeneration workshops attended by local and international creatives, as well as passers-by and anyone willing to give a hand for the improvement of the locality. Follow #72HUA on Facebook and Instagram to see the progress. For more information visit valletta2018.org. The 72 Hour Urban Action workshop is organised by Valletta 2018 and the Valletta Design Cluster, in collaboration with 72 Hour Urban Action. The Valletta Design Cluster is an initiative led by the Valletta 2018 Foundation aimed at providing space and opportunities to Malta’s burgeoning creative industries.